What a great morning for our monthly Walk With a Doc program. 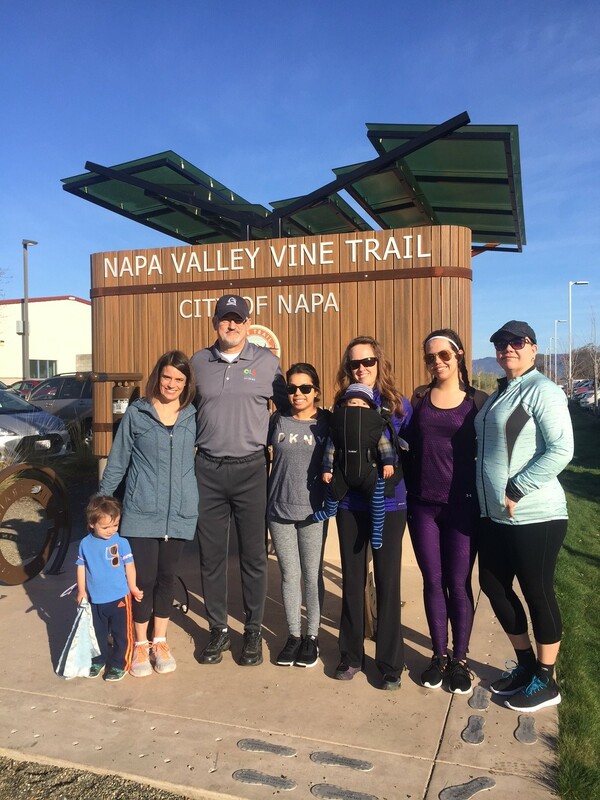 Thank you to Dr Vincent Filanova for coming out to lead a walk on the Vine Trail and share his knowledge. The group really enjoyed getting outside for fresh air and learning the importance of dental health! Don't forget Walk With a Doc is the first Saturday of the month at 9:00 at the Hartle court Vine Trail shelter. Has over 25 years of experience in private practice as well as skilled nursing facilities, elementary schools, a juvenile correction facility, county jail, hospitals, state institutions and clinics, Community Health Center, and at Federally Qualified Health Centers. Dr. Filanova is involved with Global Dental Ambassadors which travels around the world teaching students in dental schools. He has taught in Nepal, and will be teaching in Chile this year, with anticipation of teaching in Italy in 2019. He has also served on dental mission trips to Guatemala.